« Health Care Reform and 9/11, or yet another way to demonstrate that the GOP and its allies are moral imbeciles. And if you really want to go to the grotesquerie end of the scale, consider this early work of that latter day poet, M. Python. Science and politics are always with us, and shall be blogged anon. But on this glorious occasion, and a Monday, no less, perhaps a drift into the possibilities of the surreal inherent in Highlands, whiskey and an ever contentious history may ease our way into the week. I’m thinking today should be the day I lash out for a bottle of Lagavulin. Wotcha think? *Warning! Celtic convergence alert, to the undoubted annoyance of both parties. 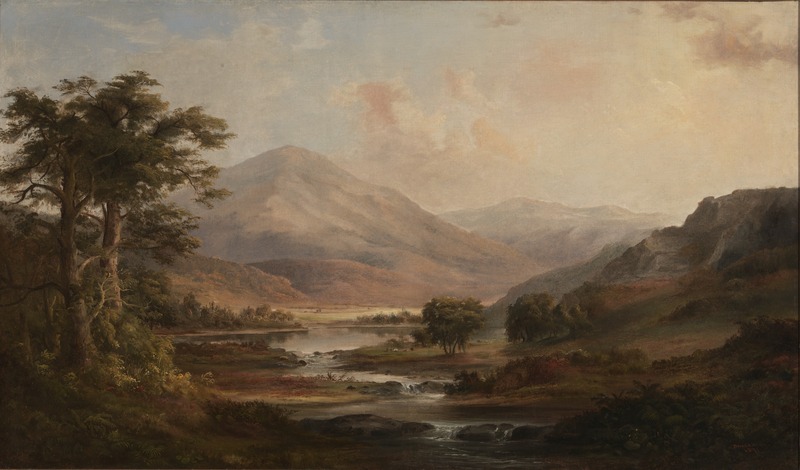 Image: Robert Scott Duncanson, “Scottish Landscape,” 1871. This entry was posted on January 25, 2010 at 10:55 am and is filed under Brain bubbles, random humor. You can subscribe via RSS 2.0 feed to this post's comments. The denouement to that story has not aged well. The Skyronian blancmanges should have been turning Scotsmen into Englishmen. PS To your final question: Aye ‘n’ A’ll huv yin wi’ ye. Kudos for the most precisely and obscurely on target response to this post. This article is very timely then, no? Finally, haggis is back! I’m not sure whether to cheer, laugh or cry. I make my own haggis. That way I know what’s in it.